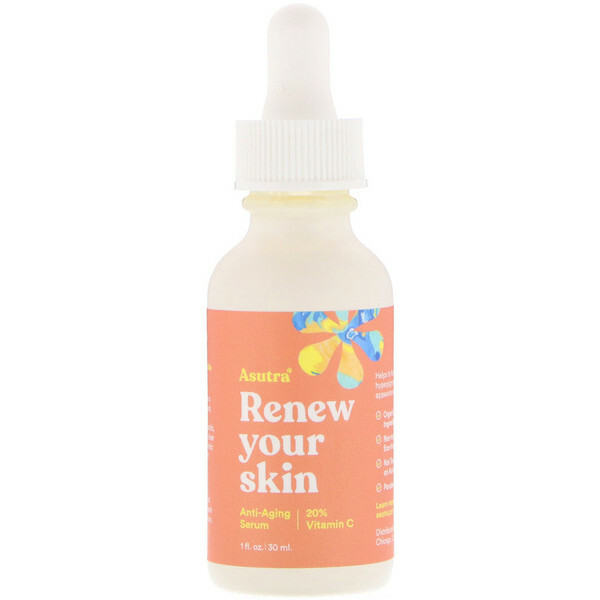 Helps to fade sun spots, hyperpigmentation, and appearance of wrinkles. Apply to clean skin. 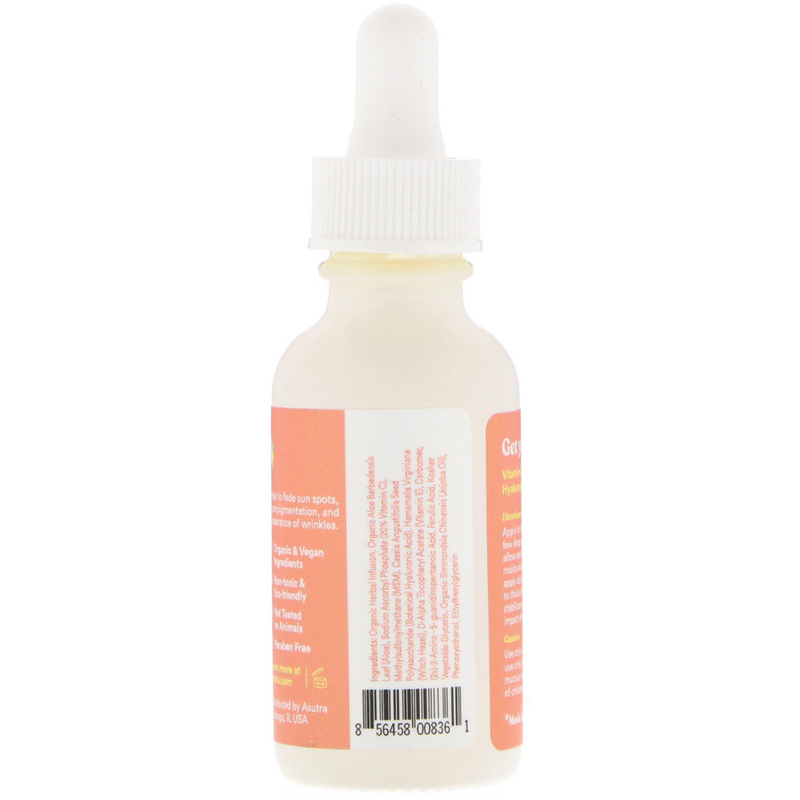 Gently massage a few drops of serum into face and neck; allow serum to dry before applying moisturizer and makeup. For best results, apply daily. Serum ranges from thin/clear to thick/cloudy as there are no synthetic stabilizers; color or texture does not impact effectiveness. Organic herbal infusion, organic aloe barbadensis leaf (aloe), sodium ascorbyl phosphate (20% vitamin C), methylsulfonylmethane (MSM), cassia angustifolia seed polysaccharide (botanical hyaluronic acid), hamamelis virginiana (witch hazel), d-alpha tocopheryl acetate (vitamin E), carbomer, (2s)-2-amino-5-guanidinopentanoic acid, ferulic acid, kosher vegetable glycerin, organic simmondsia chinensis (jojoba oil), phenoxyethanol, ethyl hexyl glycerin. Use only as directed. For external use only. Avoid contact with eyes and mucous membranes. Keep out of reach of children. Stop use if irritation occurs.